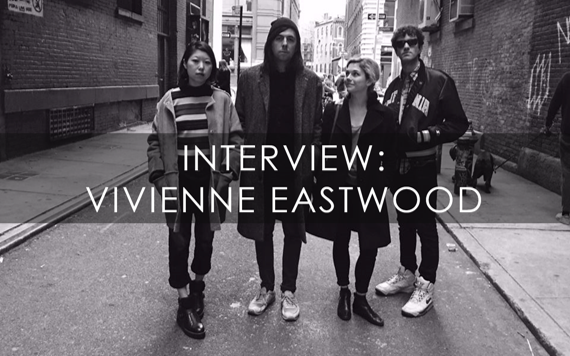 Brooklyn-based four piece Vivienne Eastwood first came to our attention this fall, after the release of their fantastic Shook EP. Immediately enamored, we went on a quest to find out more about this crew. Our discoveries are recorded below – we hope you enjoy them. If you haven’t heard Shook yet, we recommend it highly. 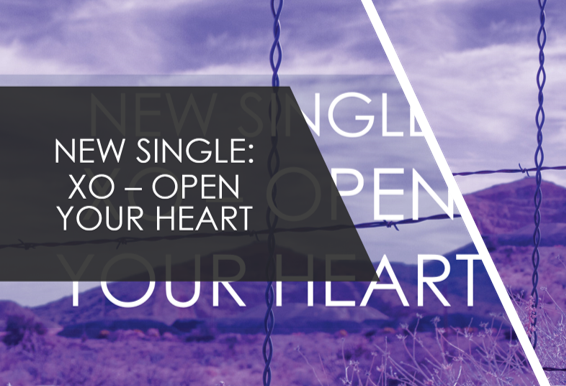 You’ll be smitten as soon as you hear the opening track, just as we were. How and when was the band formed? Vivienne Eastwood started around 2012. I moved into an apartment on Grand St in Williamsburg. (LG from the band Dead Leaf Echo was moving out and I got his old room!) I didn’t realize it at first, but I was right around the corner from my friend Jenny's apartment. She had a drum set at her place and her neighbors didn't seem to mind too much when we would play. So most of the Viv East songs started out as just guitar and drum jams. I had been playing electronic music for a while prior to this, and it felt good to dig out some old distortion and chorus pedals and focus on guitar based music. A little while later my friend Lindsay joined us playing synthesizer. She played bass lines and lead parts at the same time on a Roland Juno 1, and sang harmony, and it sounded rad! We shot a music video in the Hamptons for our song “Facelift”. Lindsay moved to LA, and we slowed down for a bit… continued to write songs. One time we played a show at Cake Shop that was just Jenny and I. Eventually, our friend Bailey started playing bass with us, and we asked this guy Phil to play lead guitar with us. We released an EP in October called Shook and we play shows around Brooklyn pretty frequently. Can you tell us what the band has been working on and what you've got forthcoming in the near future (new releases, tour, etc.)? We’re working on a music video for our song “Nons” which will likely feature some really cool aquarium footage! Bailey and Phil have a ton of cool images worked up for merch, so we hope to have some real slick t-shirts soon. Jenny has been getting pretty deep into electronic music, she’s been working on a side project called “Alien Kisses,” which sounds real dark and synthy! Besides that, we have a bunch of new material that we’ve been working on in this new lineup. We’re starting to organize the material into two categories: “fuzzy” and “jangly.” I’ve been playing around with the idea of releasing two different albums, one for each sound or style, so watch out for that! And we’re all getting our passports renews so that we can do a world tour in 2017!! 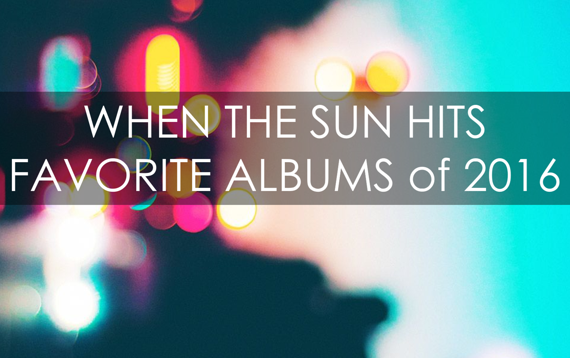 Our Favorite Albums of 2016. TONIGHT - ALL CLASSIC TRACKS on WTSH! Stream it live on DKFM @ 10pm EST. Album Review: Dead Horse One || Season of Mist. Reviewed by Elizabeth Klisiewicz. Dead Horse One is the wonderful French band led by singer/guitarist Olivier Debard. Hailing from the southern French town of Valence, they formed in 2012 and released the well-received EP Heavenly Choir of Jet Engines. In 2014, they released the marvelous Without Love We Perish, produced by Mark Gardener of Ride. 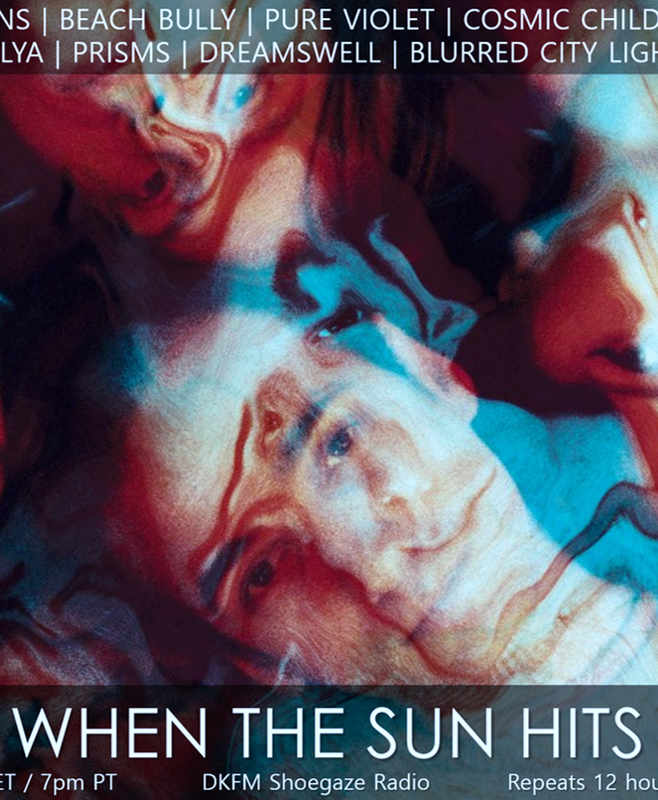 The band cites influences ranging from The Telescopes to John Barry soundtracks, and it’s somewhat evident in the grooves of this new release. The band has always favored the poppier end of the psych gaze spectrum, and seem less involved with regurgitating the same old tired MBV effects. With a high focus on swooning psychedelia and heavenly layers of sound, Dead Horse One have another winner on their hands. The album was mixed and produced by John Loring from Fleeting Joys, and also features musical contributions from John and Rorika Loring (also from Fleeting Joys). John also co-wrote two songs (“Disconnected” and “Today”). I have listened to this album repeatedly over the past week or so and continue finding new treasures in the mix, so I very much appreciate the care that was put into this recording. Opening track “Insight” is truly stunning, and I really dig the somewhat warped sounding keyboard that starts it off. It morphs quickly into a full blown psych stomp with gauzy textures, the perfect synthesis between shoegaze and psychedelia. 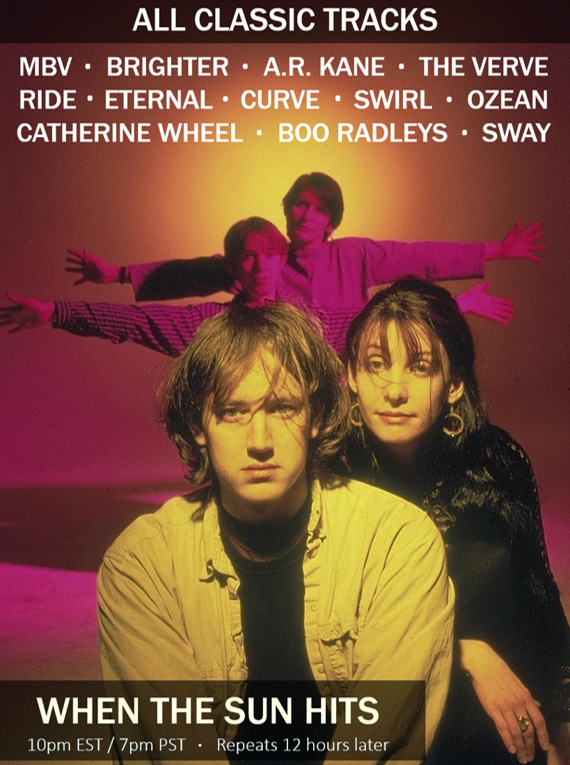 And before I expound further, let me state for the record that I have always considered shoegaze to be a sub-genre of psych, so the two fit together neatly. The vocals are wonderful here too, as are the guitars soaring into the stratosphere. Wonderful opening track! “Season of Mist” is equally gorgeous, and it reminds me the most of A Storm in Heaven era Verve. Especially with the curls of feedback surrounding the entire mix. If ever a song deserved to be a hit, it’s this one. Just amazing! “Mesmerise Me” is a graceful and sublimely trippy slice of decadent psych, and is truly swoonworthy. You will find yourself floating on golden clouds, raised up by the grandeur of this music. The guitar work by Olivier Debard is fantastic here, but that is the case throughout the record. “Disconnected” starts off with warm burbling synth and cooing male/female vocals. 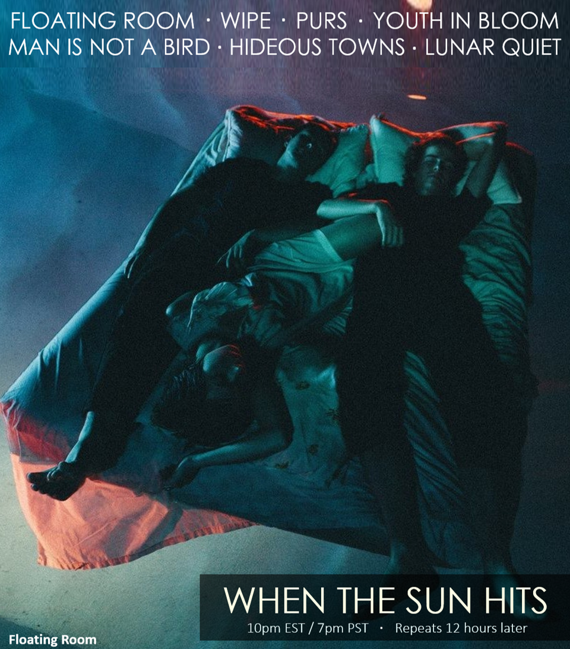 It is tranquil and easy to lose yourself in, and while it stretches out to five minutes and has lighter textures, it features some stellar guitar. “Today” shifts gears, slowing down and mixing some interesting vocal layers in with a haunting synth line. It reminds me of Ride’s quieter moments, and I like the way the song dials it back to basic instruments before ramping up the energy. “Mantis” is a slight bow to Swervedriver, mostly in the pile-driving guitar and bass, the faster pace, and the frenetic energy swirling about. Then, in mid-song, the band veers off on another track and it’s like a second song was tacked on. “Sharon” is densely packed with walls of towering feedback that part slightly to let in light swirls of organ and delicate vocals. Very pretty! “It’s Been Awhile” is another nod to Adam Franklin and company, right down to the ethereal vocals wafting through the heavy buzz of guitars. Great! “Sons of God” has symphonic swoops that remind me of that Verve hit that shall not be named, only it’s way better than that. I especially dig the vocals, and the way the wonderfully rendered guitar curls around and between. “Forget About Jesus” is not the most obvious song to end the album, but it encompasses everything I like about this group. The synth lines are skewed and cool, and the guitars crunch sweetly in the right spots. In short, this is a great record from this talented French group, and is a release well worth picking up for shoegaze and psych fans of every stripe. TONIGHT! When The Sun Hits on DKFM. Stream it live 10pm EST. 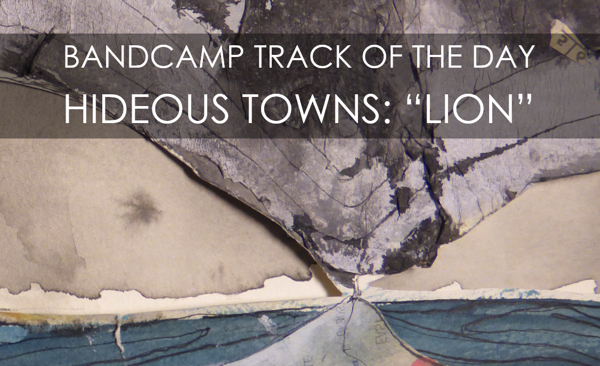 Bandcamp Track of the Day: Hideous Towns || Lion. Hideous Towns is a 4-piece project from Melbourne, Australia. “Lion” is taken from their recently released debut LP, Disquiet Living, which we highly recommend. Stream/buy it here. 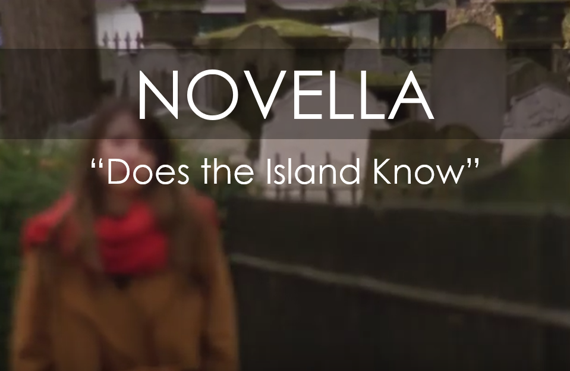 New Video: Novella || Does The Island Know. “Does the Island Know” is taken from this UK-based quartet’s forthcoming sophomore LP, Change of State, which is set for release on February 17, 2017 via Sinderlyn. 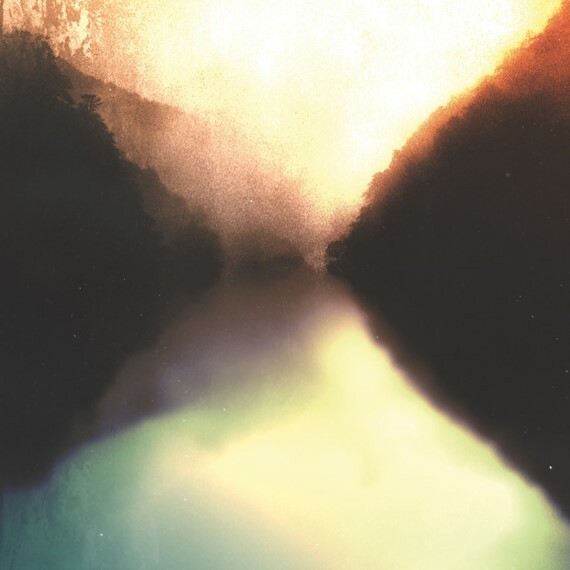 Fans will be expecting another album on par with the loveliness of their highly lauded 2015 debut, Land, and judging from the two new songs streaming on Bandcamp, Novella plan to deliver just that. This song, which will be the album's opener, showcases the reflective and psych-tinged sound Novella is best known for. It’s a beat-driven groove that will no doubt set the tone for the entire record. A charming video by Yuki Yamamoto, which can be viewed below, has just been released to go along with the track. Definitely RIYL Candace and Lorelle Meets the Obsolete. You can pre-order a physical copy of Change of State here and the digital here.